Have any you experienced the Boise River? My son's baseball team is headed that way in a couple of weeks and I am thinking about following with some gear. It should be pre-thaw and fish-able. I could call the local Orvis shop, but that may be like calling the local transmission shop for an estimate. Is it easy access and wade-able? I fished it a couple of times long ago. There is a good / very good amount of access and the entire thing is wadable (it's a standard skinny water freestone trout stream). Access either in town or going up the canyon into the national forest. If you have a car and at least a 1/2 day for fish, drive up and down the river looking for open pullouts and access points. This time of year it'll be midges, blue wing olives, sculpins & wooly buggers on the menu. It'll also be crystal clear, so use long leaders and lots of stealth. They won't move much for your offering, so you'll have to get it right in their face. Don't forget something to de-ice your guides if its cold. Thanks so much just what I was wanting to hear. You are most welcome. For stealth, just stay as low as you can and approach from the bottom of the pools directly behind the fish. 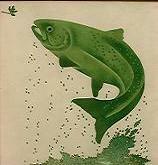 Don't cast over fish - work your way upriver, fish by fish. Match the color of the sky with your clothes. If it's cloudy, wear light gray...if it's sunny, wear light blue. Avoid wearing dark colors at all costs if you can help it. now I just got to find some baby blue waders and snowsuit. Speyguy, thanks for that I will make an effort to explore. The boys go back down there in late April and the river could possibly float my cap. Got me to dig for some pics that were still stuck in old hard drives. These say June 21,2008 and for some reason, not finding newer ones. Guessing if that date is correct, it was just before they started dumping water. Unfortunately, I am postponing this trip, after spending time watching their weather forecasts and the probability of the boys getting their games in. Scheduled to go again in April. With my luck the all the rivers will be puking mud and logs. Generated in 0.023 seconds in which 0.004 seconds were spent on a total of 15 queries. Zlib compression enabled.